We welcomed Ms. Quiroga to the TVMS family this past spring. 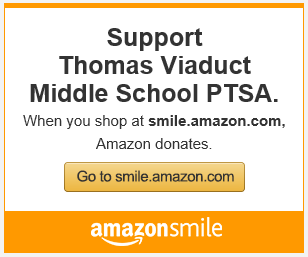 Our PTSA worked in collaboration with our art teacher, Mrs. Ludlow, in researching our artist and applying for grants to help fund the project. The Mosiac Mural took two weeks and all of our students were involved with either the planning or implementation of the project. We also opened the workshop to all staff, parents and community members that wanted to be part of this amazing project. 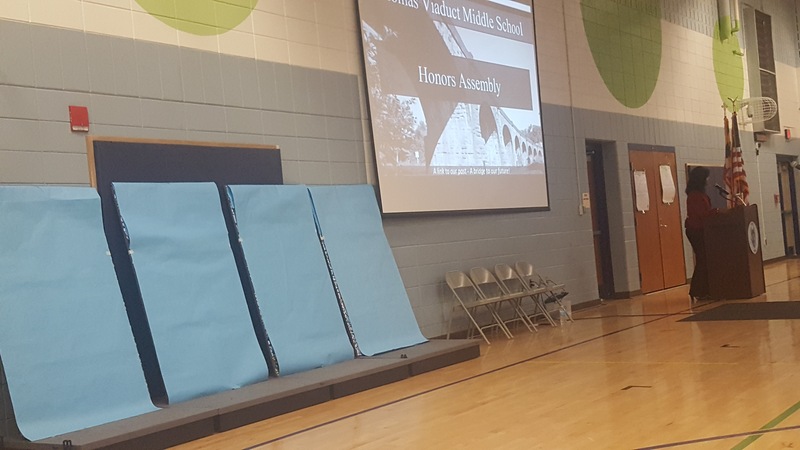 Our goal is that it that will commermate our TVMS “touchstones” that infuse every aspect of our innovative learning environment. This project will provide an opportunity for our students to connect, collaborate and create on this piece of artwork, that will proudly be displayed on the front of our building, using our “touchstones” as our central theme. She spent her first day introducing her personal work, cultural history and her artistic journey. She had the students actively contribute to the mural design process by creating drawings themselves and she combined as many concepts as possible. 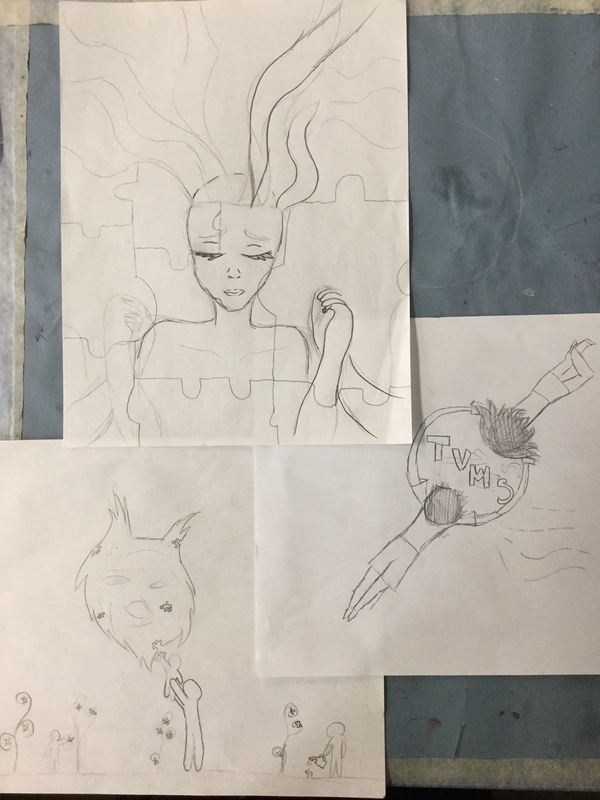 In this picture below students created the colored pictures and she then combined them into the final drawing and then into the finished artwork. Our students in the 7th grade art classes created individual elements that are integrated into the larger mural – a small metal embossed piece and an individual glass mosaic element. Students worked alongside the Artist, in small groups to create the mural. 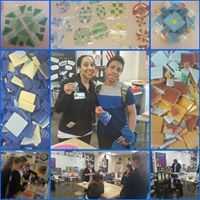 Students learned how to use tools safely and actively participate in each stage of the mural making process – design, creating individual elements, cutting and laying of the glass tile, mixing of cement and the grouting of the mural. Mosaic mural-making is a collaborative process, which requires problem-solving and decision-making skills. The residency builds community and creates a sense of belonging and ownership as participants leave behind a visual legacy. At the conclusion if the residency students had the opportunity to reflect on their experience, what they learned, how participating in the mosaic mural project impacted them and how it effects the greater school community. The fee for Carien Quiroga’s mural residency has been financed with a MD State Art Council Grant, Howard County Council Arts Council Grant, Green Valley Bucket Sale from last year and donation from the Josephine B. Scheffenacker Education Trust. Today we want to share with you the mosaic mural created by the students at Thomas Viaduct Middle School through an Artist-in-Residence Program. The mosaic project was funded through grants, community donations, the PTSA and a fundraiser through the Art department. The mosaic represents our school’s vision: “Connect, Collaborate and Create.” We will reveal one panel of the mural today and explain our process in creating the collaborative mosaic. The first part of our artistic process was the design phase. Students in 6th, 7th and 8th grade met Mrs. Quiroga, our visiting mosaic artist, at assemblies. We learned about Mrs. Quiroga’s South African background and were inspired by her artwork. Each student at the assemblies submitted a sketch of the imagery they associate with our school’s vision. Then, Mrs. Quiroga and Mrs. Ludlow, our art teacher, worked together to review all of the sketches and find common symbols and images in order to create a sketch for the mosaic. In the second phase, each student enrolled in Art Class during 2nd semester made a small individual mosaic that is included in the mural. Staff and community members also made individual mosaics. The individual mosaics are either symmetrical or random in design and are located throughout the panels of the mural. In the next phase, students worked together to place mosaic tiles and create the designs on the four mosaic panels. This stage required perseverance, collaboration, critical thinking and problem solving skills. Each student working on the mosaic had a job to complete to help the group reach the goal of placing all the tiles. In the final phase of our artistic process, students in 7th grade Art Classes mixed and applied grout to the mosaic after it was glued to the panels. The grout provides the strength needed to hold the tiles in place when the mosaic mural is hung up in its place on the outside of our school building. Our mosaic mural represents the formation and core beliefs of our TVMS family. The figure at the bottom of the mural, with organic lines radiating from the brain, represents our student body and staff with unique, creative ideas that we share with each other to learn and grow. The eight large circles outlined with metal beading represent the eight arches of the Thomas Viaduct and the eight feeder schools that came together to build the first class of students to enter the doors in 2014. The figure holding up another smaller figure to add a heart to the growing plant represents our pride in family, community and collaboration to help each student and staff member succeed. 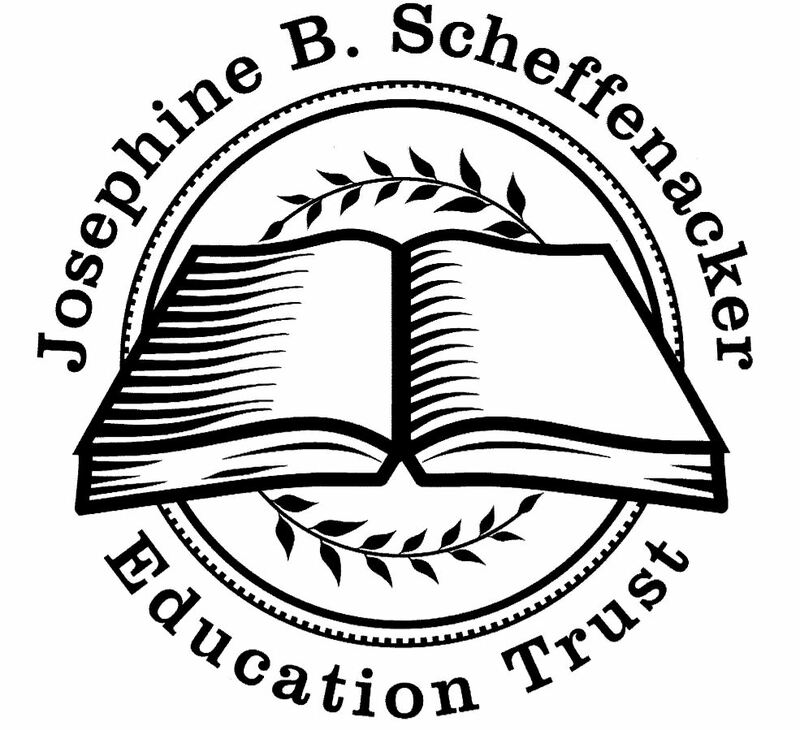 The image of the timber wolf represents our school mascot which was chosen by the students in the inaugural class. Finally, the image of two figures joined at the hands in a circle at the top of the mural represents connecting and teamwork. Our mural’s symbolism and location near the entrance of our building is sure to inspire everyone who enters TVMS for many years to come. Thank you to our supporters and all of the artists involved in making this a memorable experience and a legacy artwork for our TVMS family.